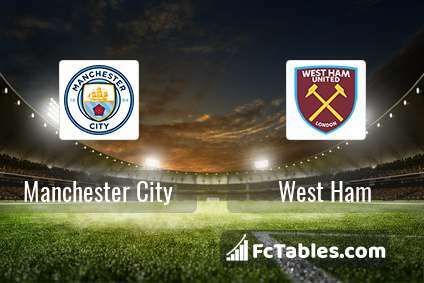 Match Manchester City-West Ham Premier League the fixture is set to kick-off today 20:00 on Etihad Stadium. Refereee Stuart Attwell. Team Manchester City is at the top place in the table (2 place). Manchester City in 5 last matches (league + cup) have collected12 points. From 4 matches at home no lost a match. Leading players Manchester City in Premier League is: Sergio Aguero 17 goals, Raheem Sterling 12 goals, Leroy Sane 8 goals. 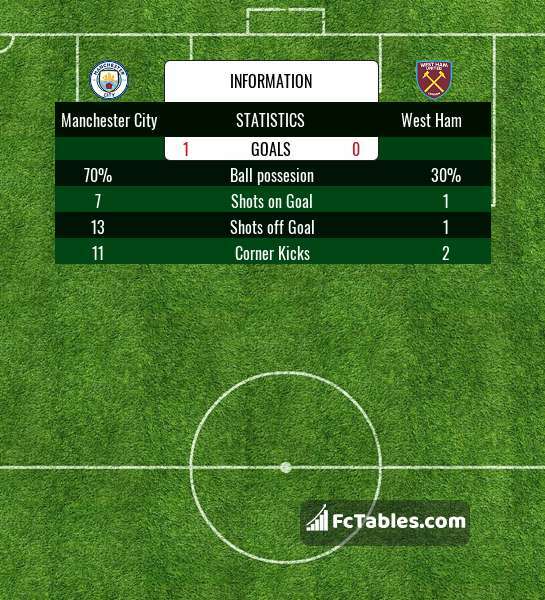 Players Sergio Aguero 6 assists, Raheem Sterling 9 assists, Leroy Sane 9 assists will have to be very well guarded by defenders West Ham, because they have the most assists. 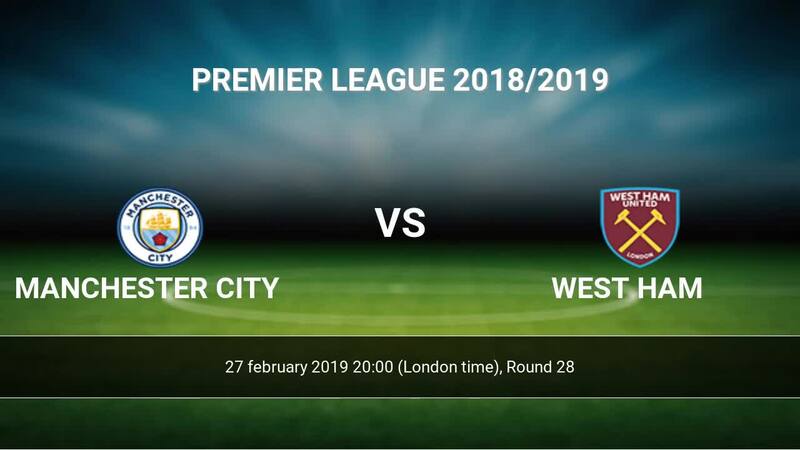 In Manchester City not occur in the match due to injury: Claudio Bravo, Aymeric Laporte, Fernandinho. Team West Ham is located in the middle of the table. (10 place). West Ham in 5 last matches (league + cup) have collected5 points. From 4 matches away can't win a match. West Ham has not been defeated from 3 matches. The best players West Ham in Premier League, who scored the most goals for the club: Felipe Anderson 8 goals, Marko Arnautovic 7 goals, Javier Hernandez 5 goals. Most goals developed: Felipe Anderson 3 assists, Marko Arnautovic 3 assists, Javier Hernandez 1 assists. Injured players West Ham: Winston Reid, Carlos Sanchez, Jack Wilshere, Andriy Yarmolenko. Direct matches: Manchester City won more direct matches. 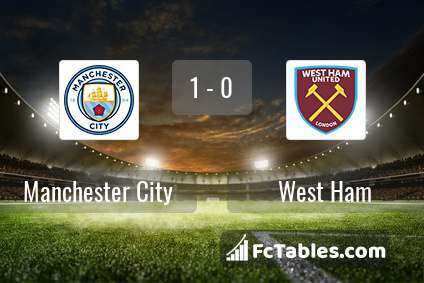 Manchester City won 23 matches , West Ham won 7 direct matches, was a 6 draws. In 21 matches the sum of the goals both teams was greater than 2.5 (Over 2.5), and 27 matches teams scored more than 1.5 goals (Over 1.5). In 16 matches the both teams scored a least one goal (Both teams to score).